Dr. Wilfried Aulbur is the Managing Partner of Roland Berger in India and heads Roland Berger’s Asia Automotive Practice. He is the Chairman of Roland Berger Middle East and Africa and a member of Roland Berger’s Supervisory Board. His industry focus is Automotive, Industrials, Aerospace & Defense, as well as Engineering and IT service companies. However, he has worked in other areas such as Metals & Mining, Consumer Goods & Retail and Energy, Chemical & Utilities as well. His work centers around operational performance improvement, growth and innovation. Wilfried is the Chairman of the National Automotive Council of Assocham and the Chairman of the Indian Council on Competitiveness, a sister organization of the US Council on Competitiveness. He has held various roles in SIAM as well as the Indo-German Chamber of Commerce. Besides being a member of the jury for various initiatives such as the Porter Prize, AutoCar Professional, AutoTech Review, and Manufacturing Technology, he regularly publishes in leading dailies and industry-focused publications and is a regular speaker at key industry events. He is a lecturer at Harvard Business Publishing and a mentor for the International Innovation Corps of the University of Chicago. 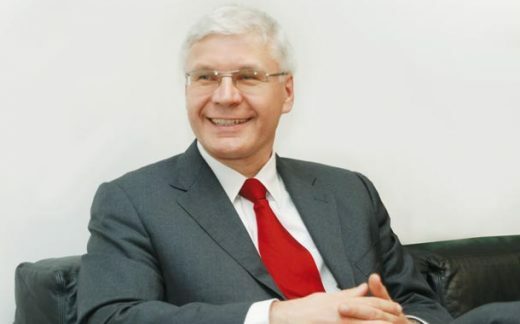 Prior to his work with Roland Berger, Wilfried was the Managing Director and CEO of Mercedes-Benz India where he was responsible for passenger cars, trucks and busses. Before that, he held various positions with Daimler in Europe, the US and India. He holds a PhD in Physics with a focus on Computational Material Science.